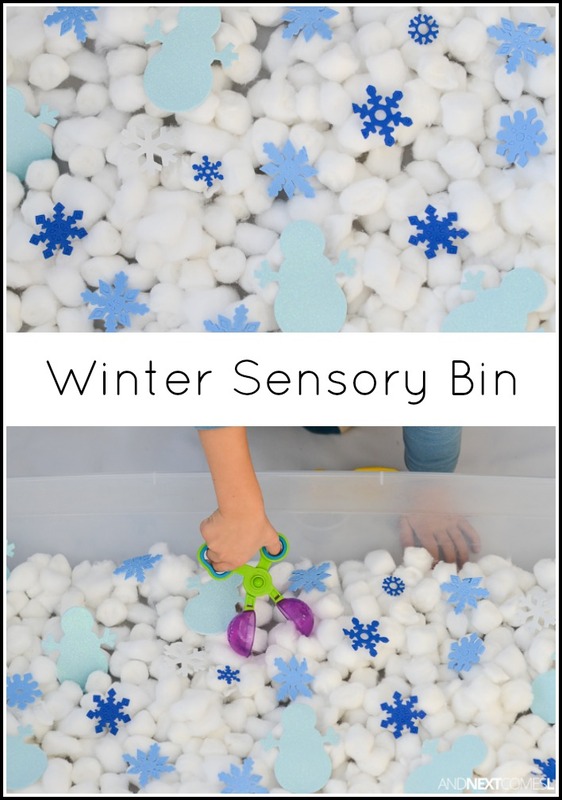 Living in Saskatchewan, it was crazy to believe that we had no snow throughout November and December, up until Christmas Day. That's so unusual for us! So since winter wouldn't come to us, we had to get a bit creative and find some suitable snow alternatives during that time. 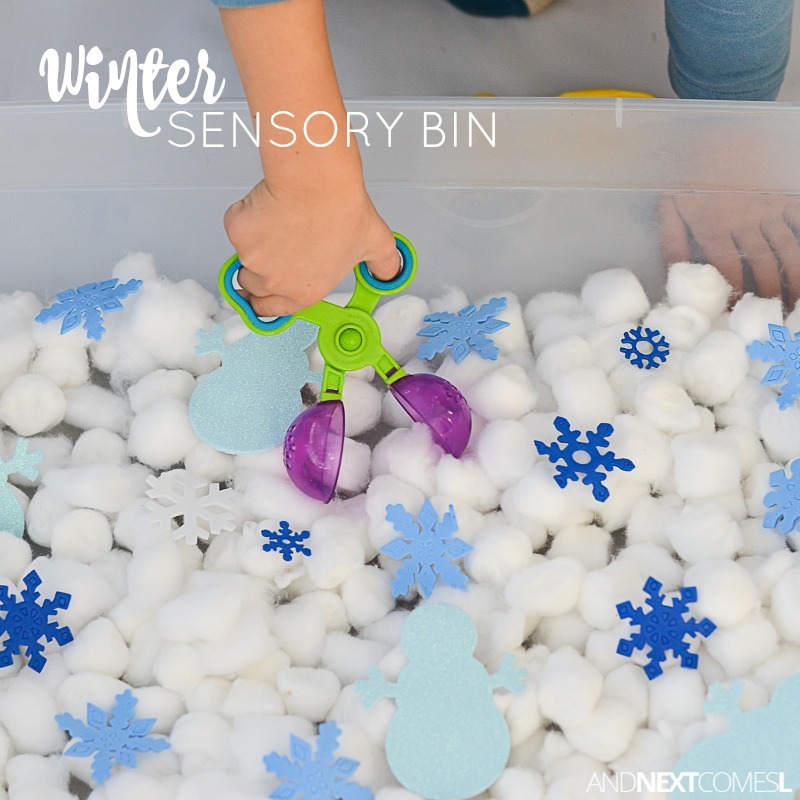 This simple winter sensory bin for kids was one of those easy ways that we explored winter through sensory play, without real snow. Not only is this sensory bin quick and easy to set up, it's a great way to target fine motor skills. 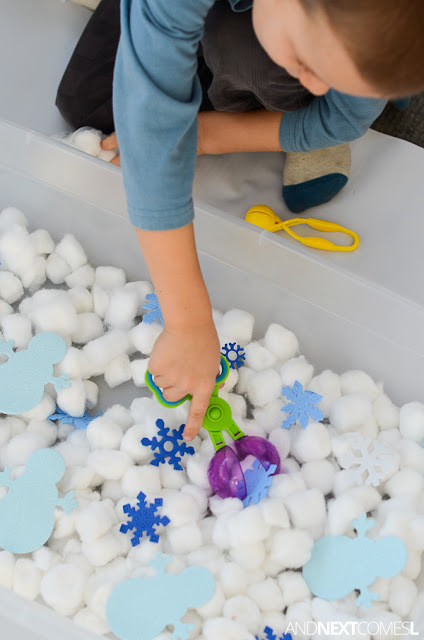 Fine motor tools for scooping - We like this fine motor tool set. 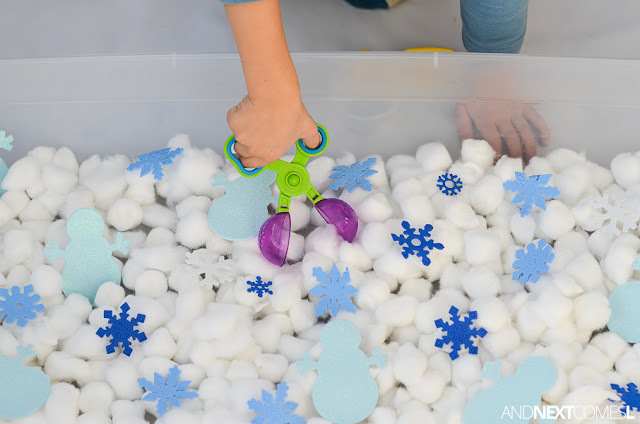 I always like to set the fine motor tools outside of the sensory bin for the kids. 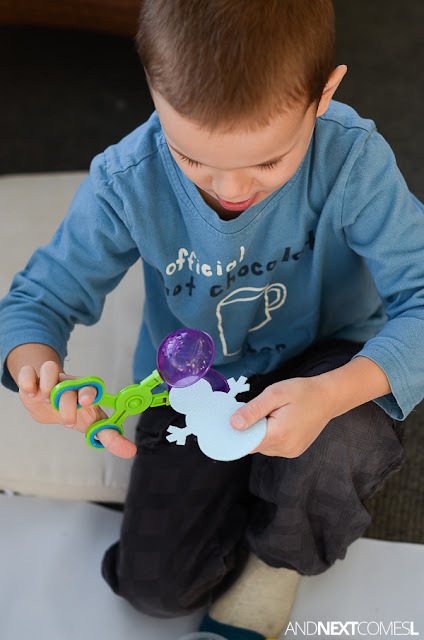 The scissor tong things have been a favorite for my kids for years! So it is no surprise that my youngest K went straight for them. He wanted to scoop up all of the "snowballs." 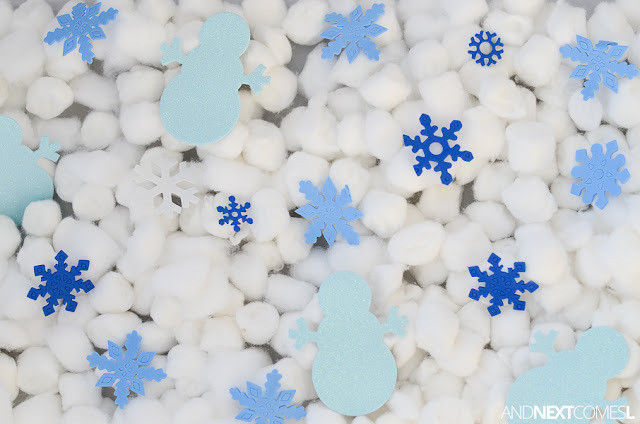 And he liked to use them to chomp the snowmen's heads. Also, unrelated, but check out those eyelashes on K! 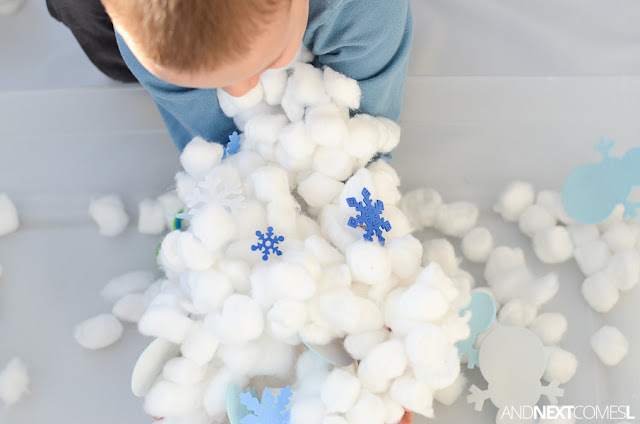 He also liked to pick up the different snowflakes with the scissor tongs. 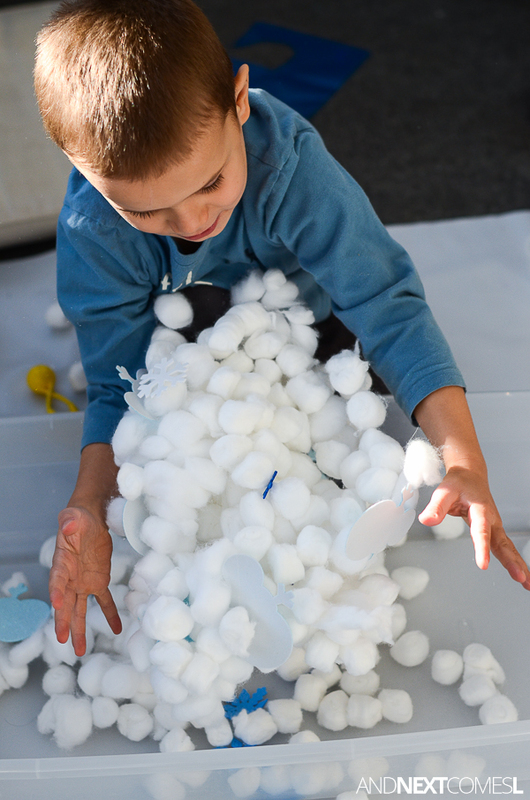 However, it wasn't long before he ditched the fine motor tools for some bigger tactile sensory exploration. 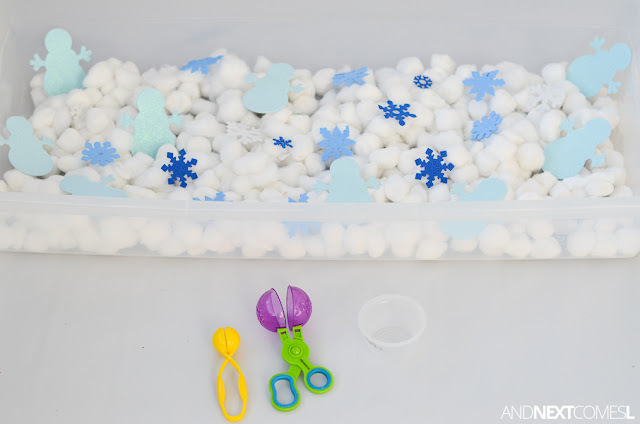 He would pick up armfuls of snowballs and drop them to let it snow!